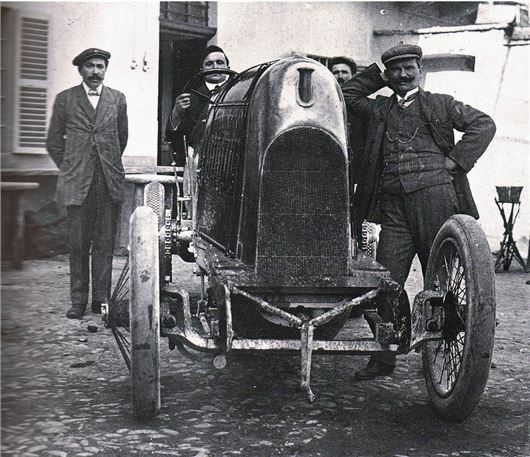 A Fiat S76 will turn its wheels for the first time in more than 100 years at the 2014 Goodwood Festival of Speed. The S76 is one of just two ever built and made an attempt at the world speed record in 1911. It was recorded at more than 135mph, but failed to make a return run in time for the record to be made official. It has been restored by a British enthusiast in time for the the Festival of Speed. The 28.5-litre four cylinder engine is original and it was reunited with the chassis by owner Duncan Pittaway afterthe car was dismantled after the First World War. Duncan will drive it up the hill at the Goodwood Festival of Speed, which takes place 26-29 June 2014.